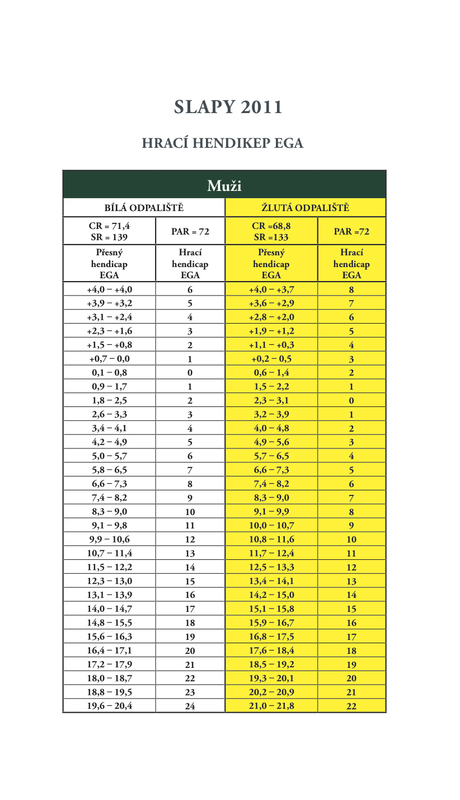 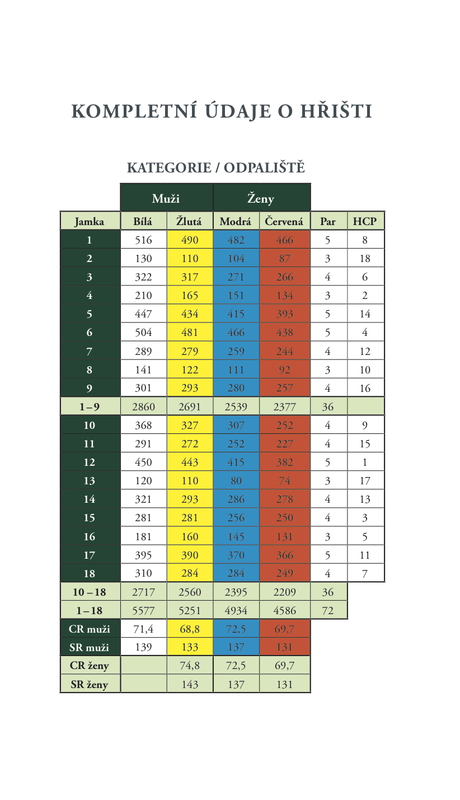 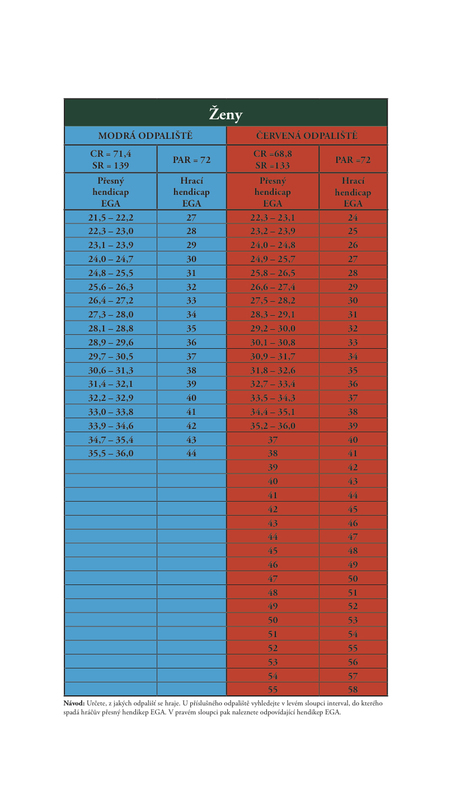 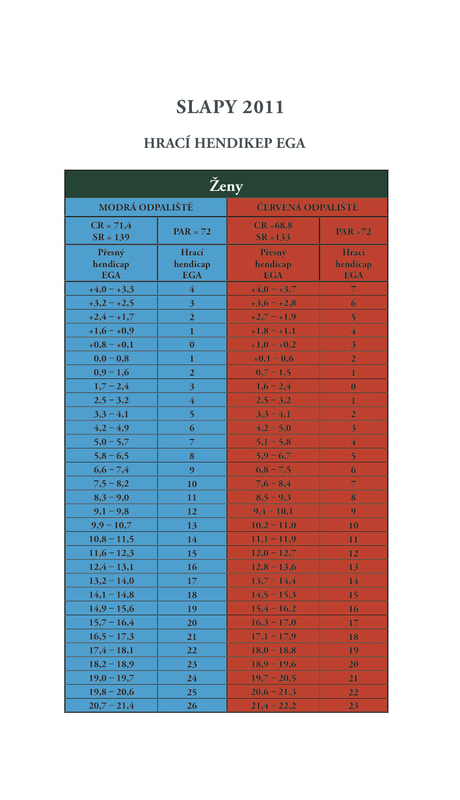 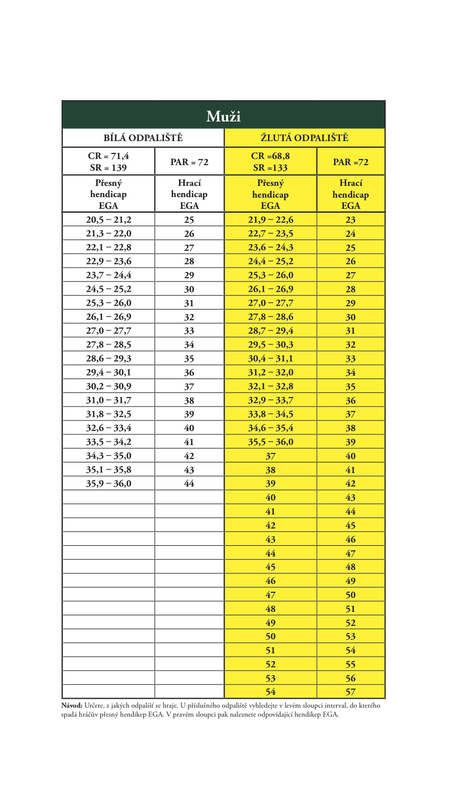 Course information | Golf Slapy, s.r.o. 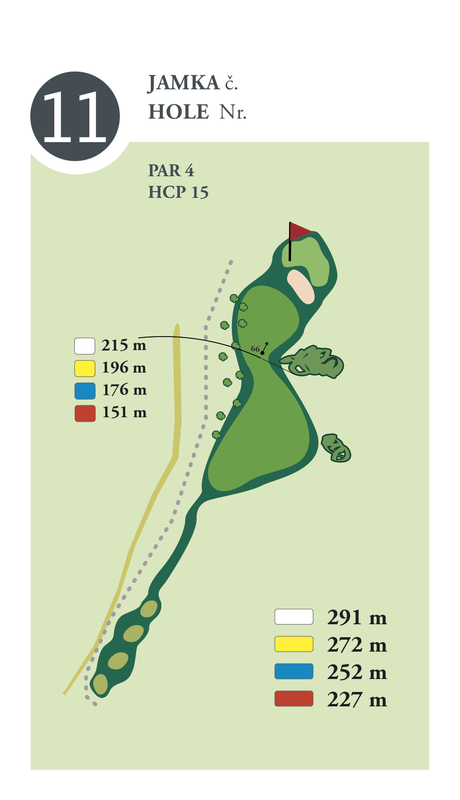 Front nine, Rabyňská hora, PAR 36, with a unique composition of 3 par 3s, 3 par 4s and 3 par 5s, with a length of 2691 m from the men’s amateur (yellow) tees. 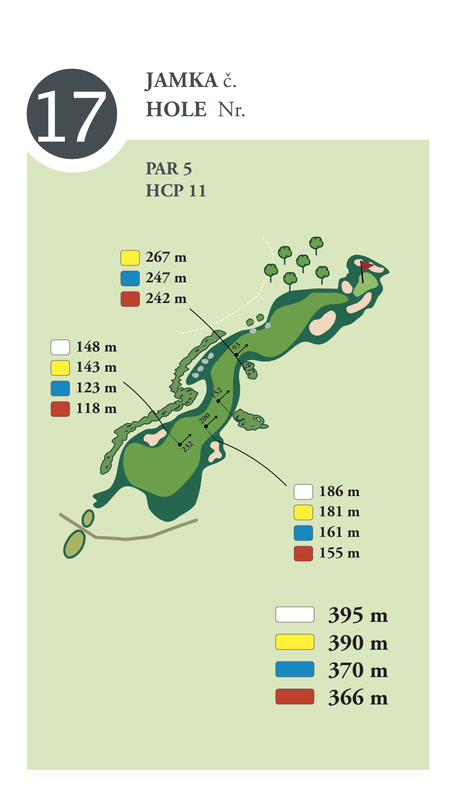 The course is naturally incorporated into the landscape. 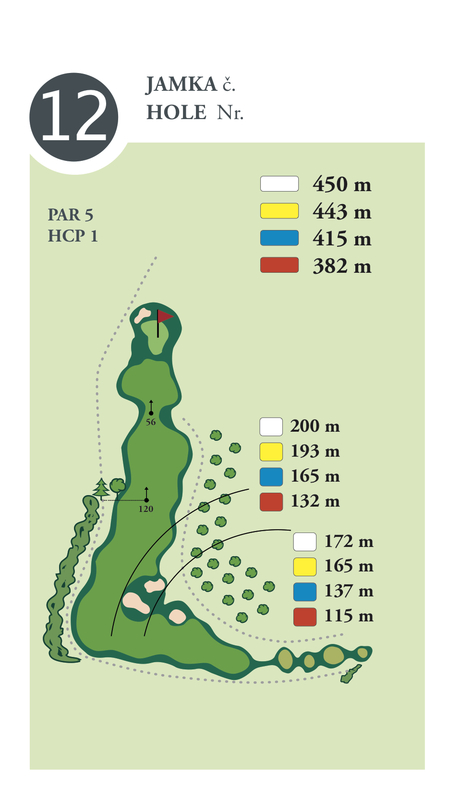 Its design takes advantage of the natural terrain, resulting in a desirable variety of landscaping and playing difficulty. 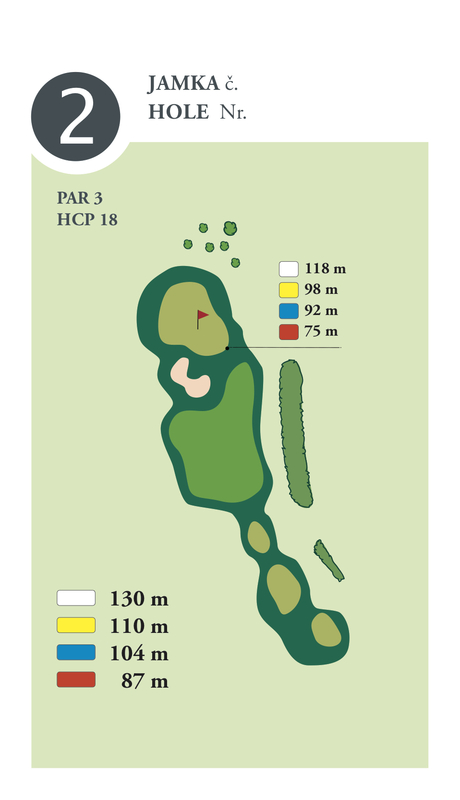 The course should satisfy even the most demanding players in terms both of perception of the landscape and of the game itself. 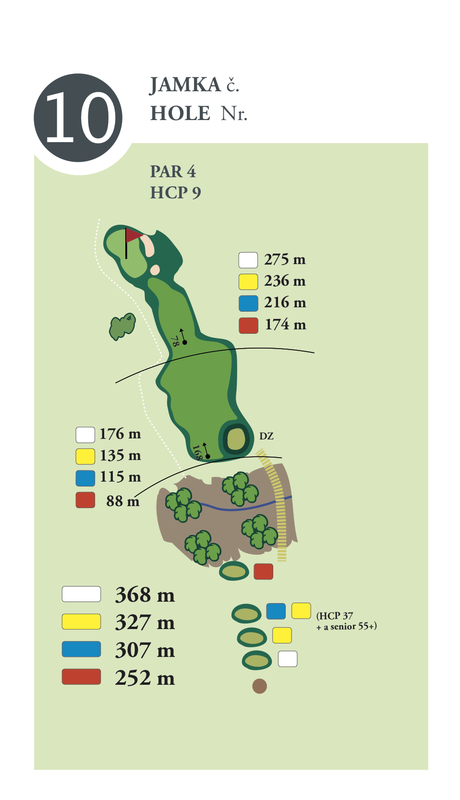 All 18 holes are very compact with short transitions between the holes. 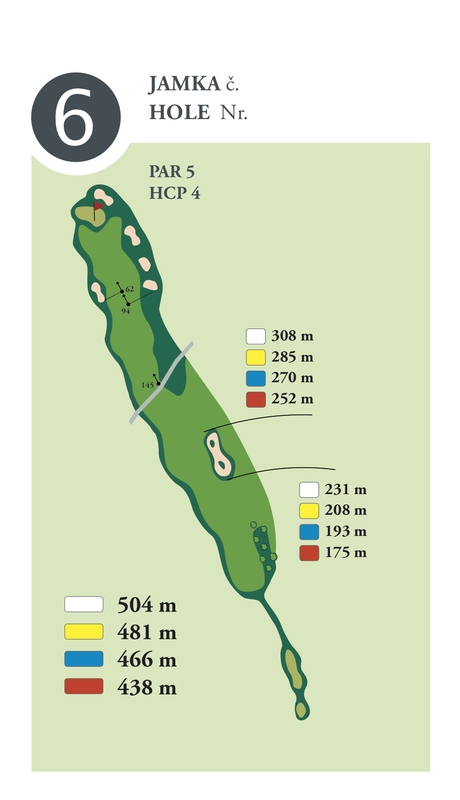 The course has a total length of 5,400 metres from the men’s amateur (yellow) tees. 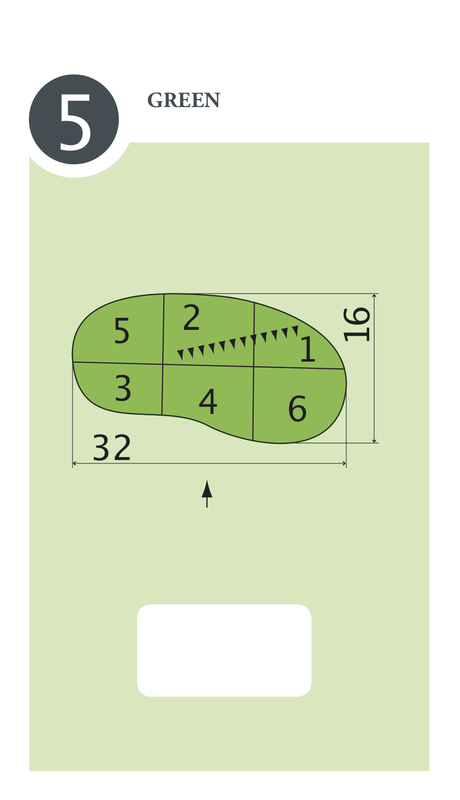 The entire course requires no more than 5 hours – it is relatively short and requires good technique. 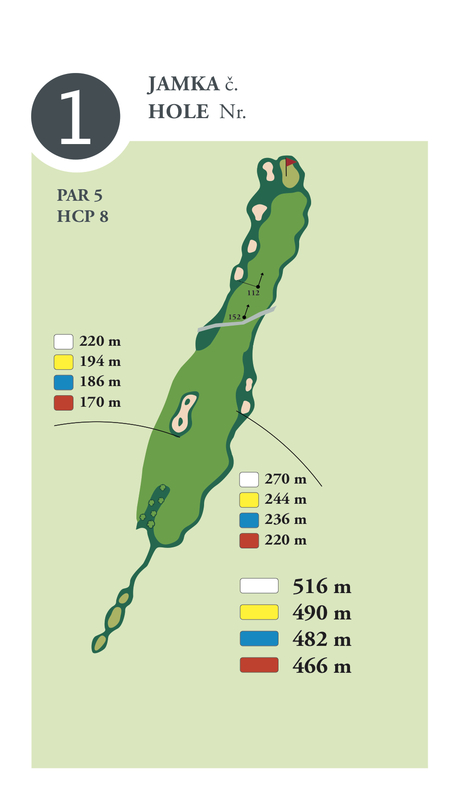 The first nine holes are player-friendly, slightly hilly, with wide fairways and well-modelled greens (on an average, around 500 sq. 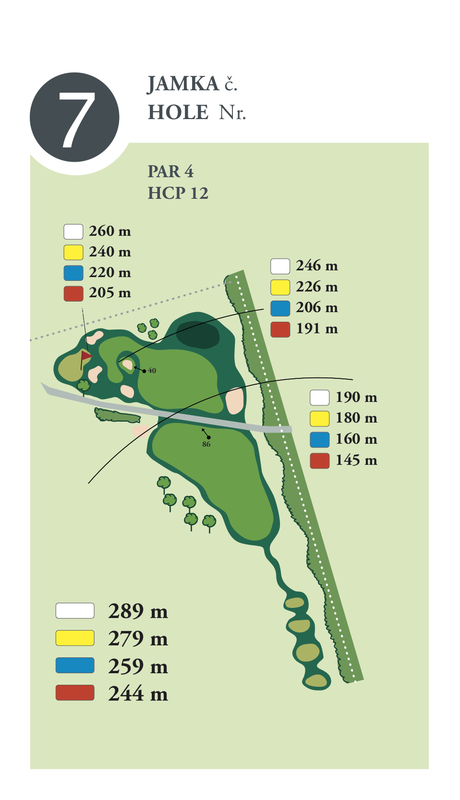 m. in size), giving the course a modern “links” feel. 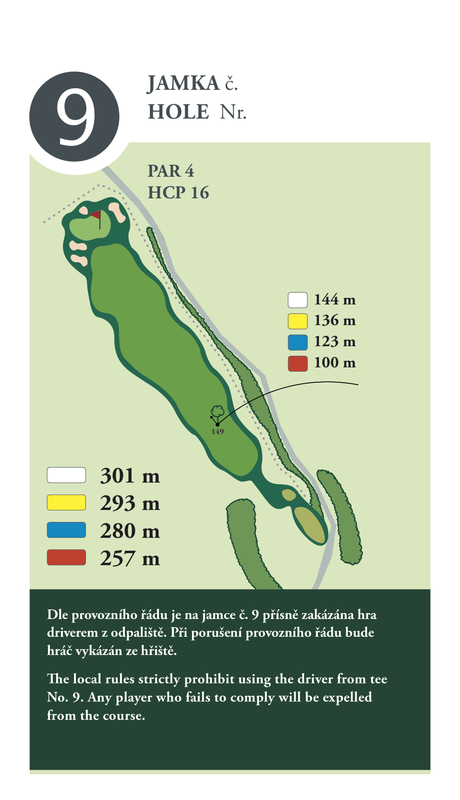 The landscape, into which the course is naturally incorporated, provides numerous magnificent views of the surrounding hilly countryside, the nearby Hrdlička nature reserve and the Slapy reservoir. 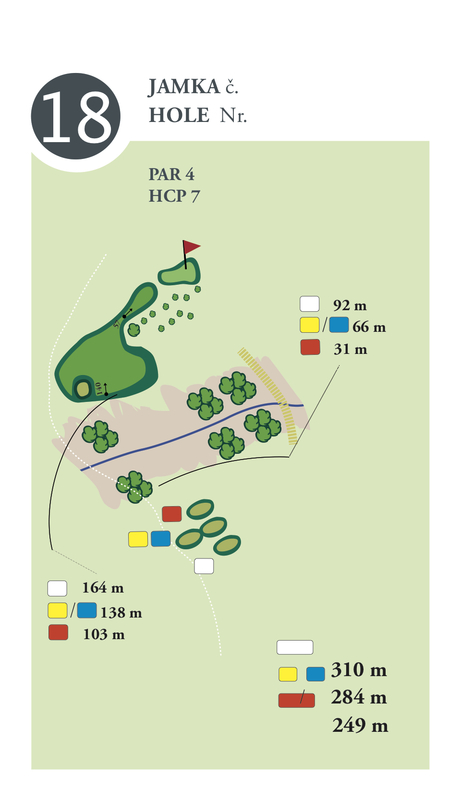 The course provides a great golfing experience both for beginners and for players with lower handicaps. 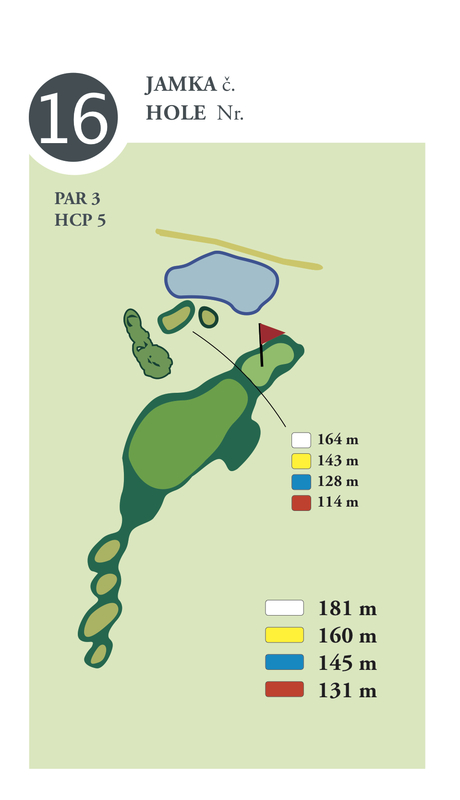 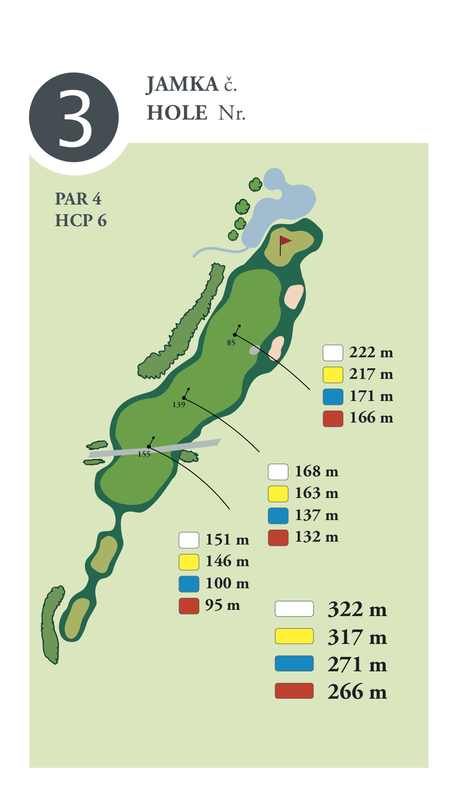 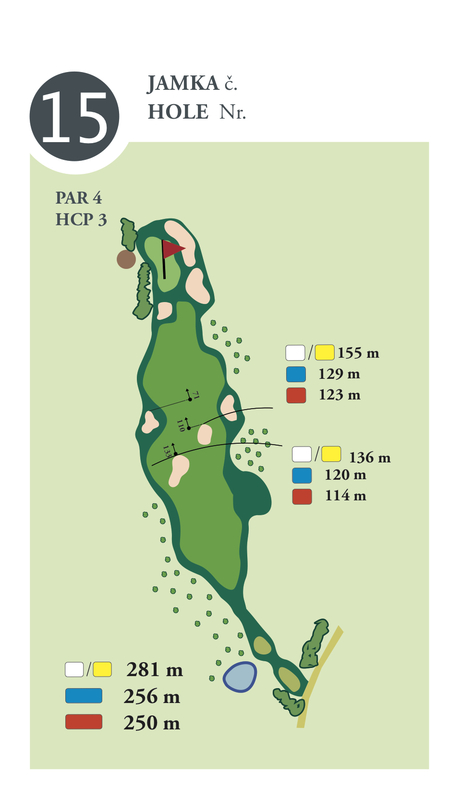 The first nine holes have a unique 3+3+3 composition – 3 par 3s, 3 par 4s and 3 par 5s. 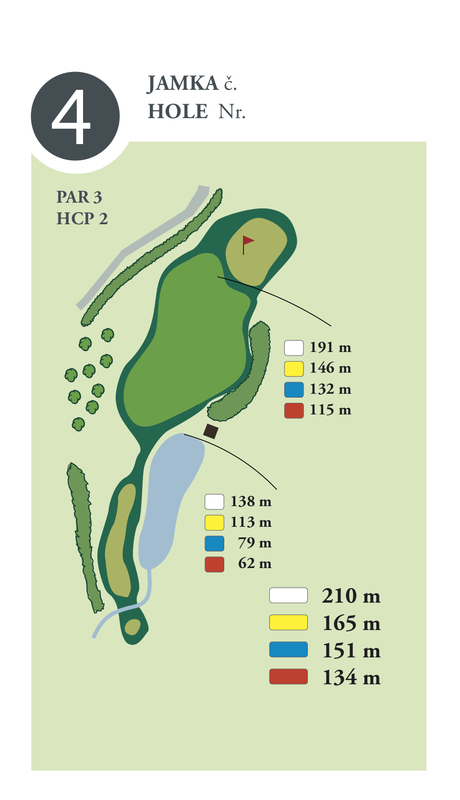 The course design naturally utilises numerous bunkers, as well as blackthorn bushes and two water hazards. 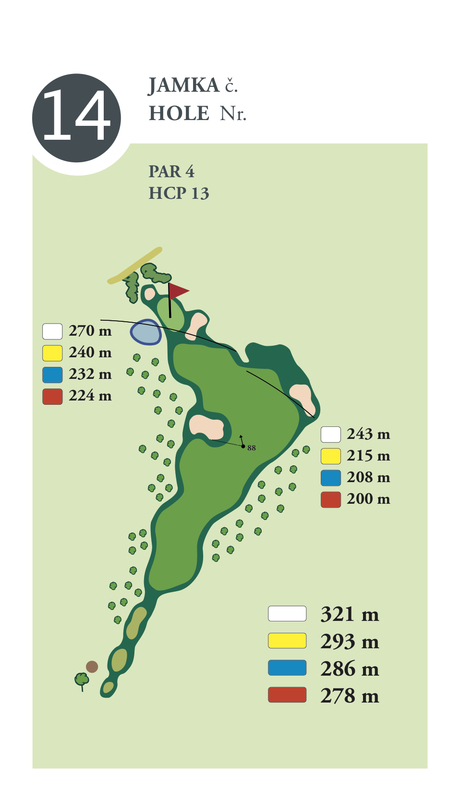 The greens, their surroundings, fairways and tees are fully irrigated. 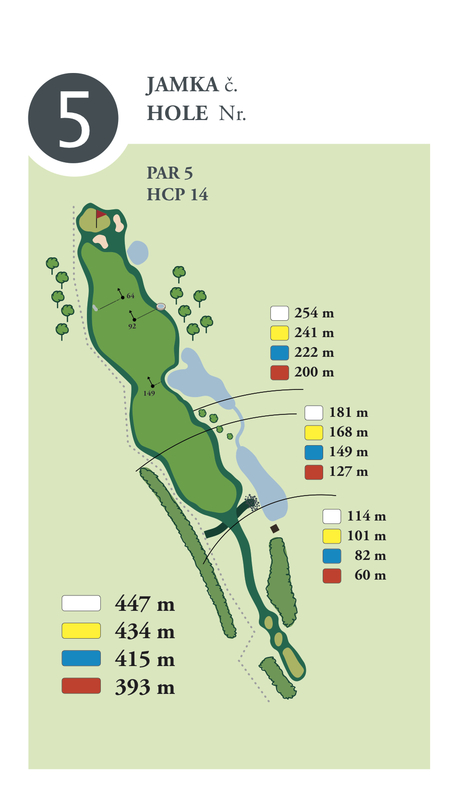 This part of the course again offers great views and vistas of the surrounding forests, the valley in front of the Slapy reservoir and the villages of Slapy and Přestavlky. 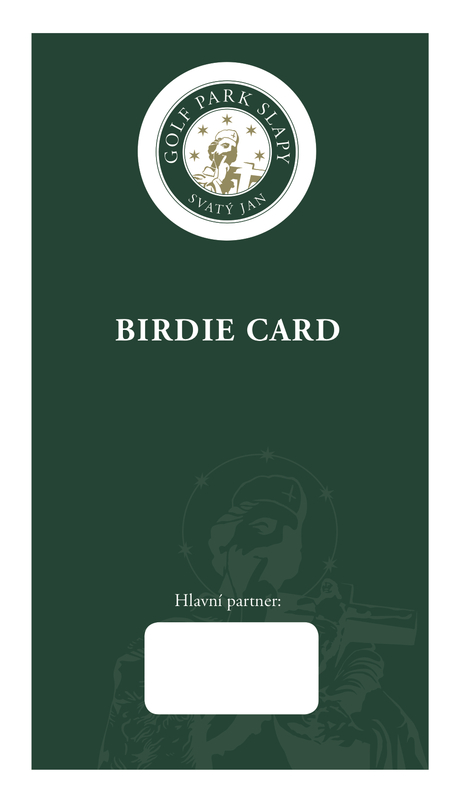 Someone who has played the Rabyně Mtn. 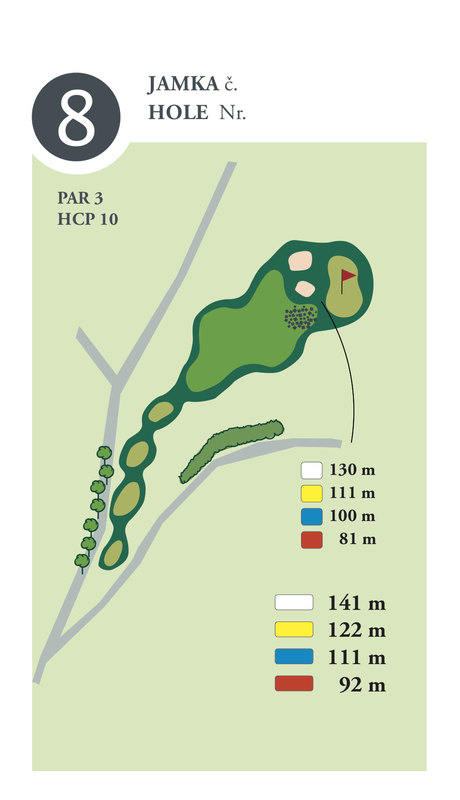 course can again look forward to friendly, wide open fairways and greens modelled with great care. 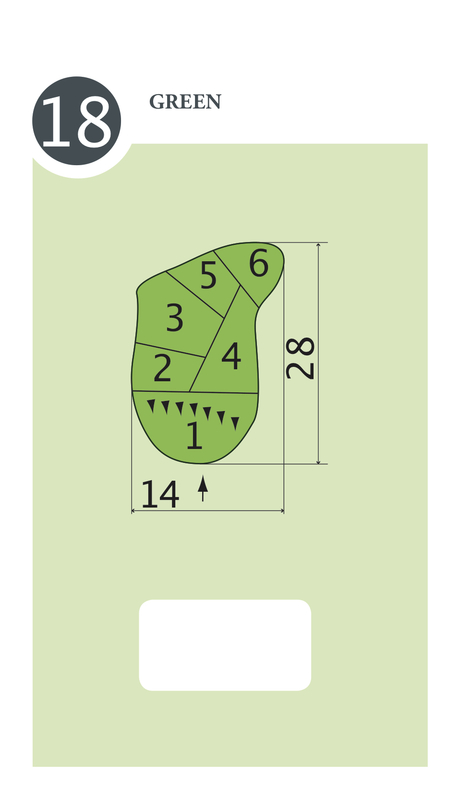 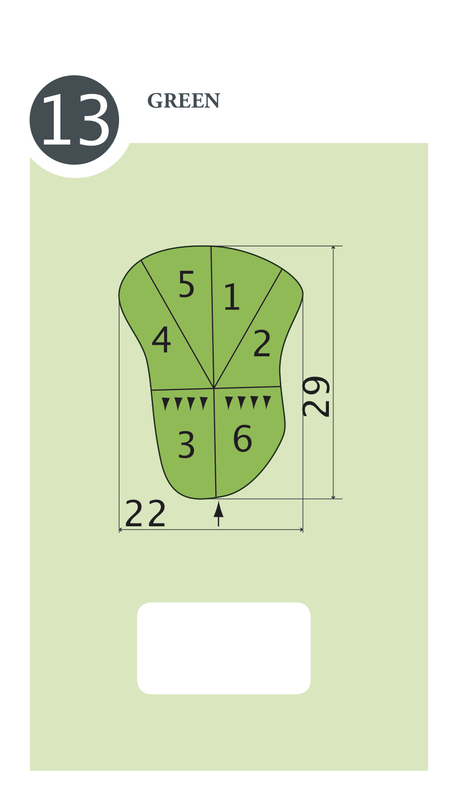 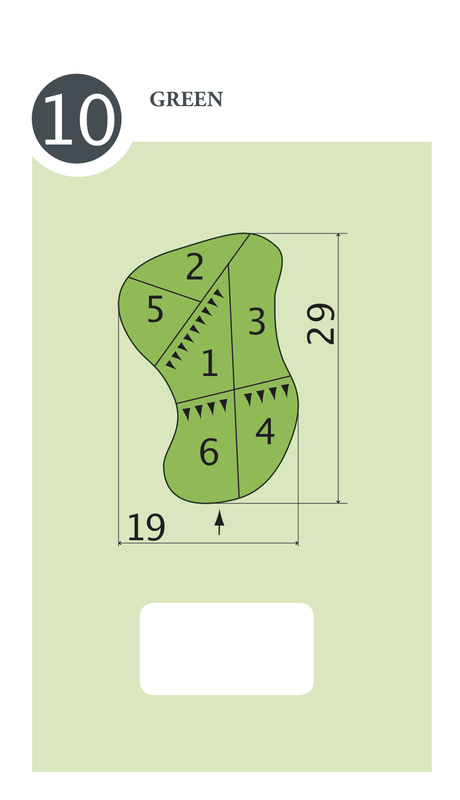 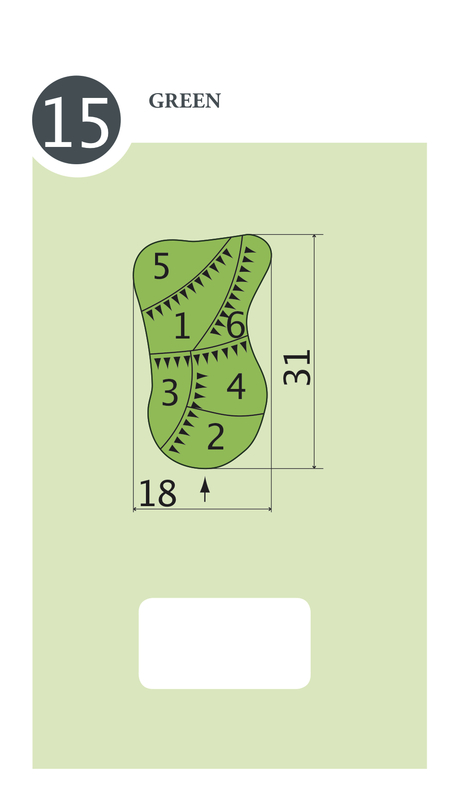 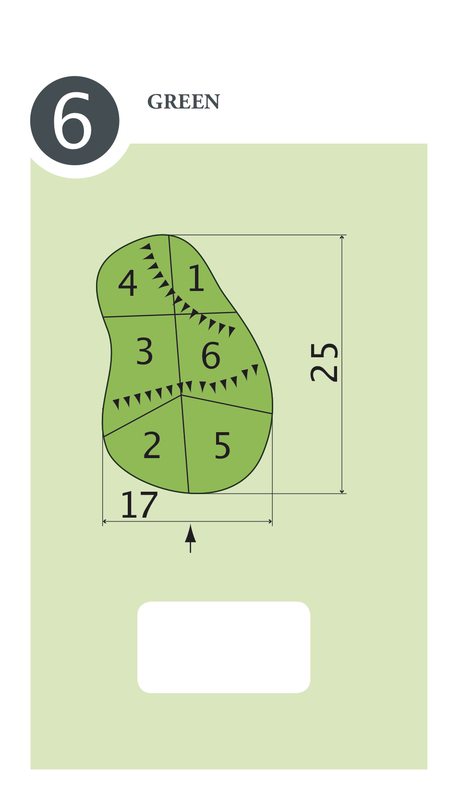 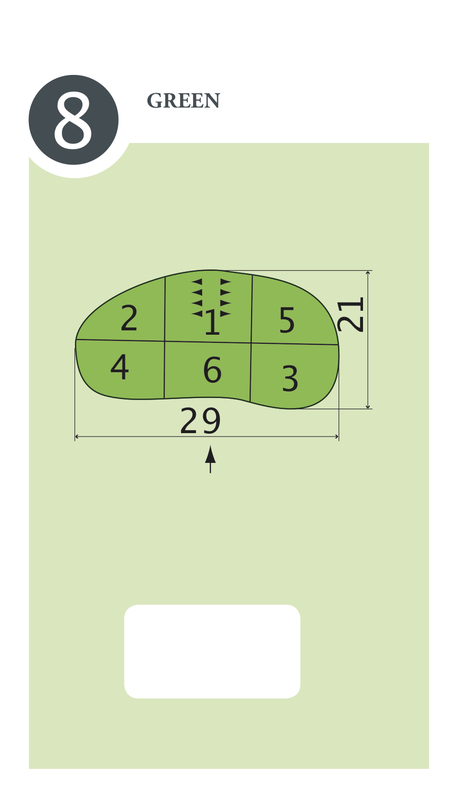 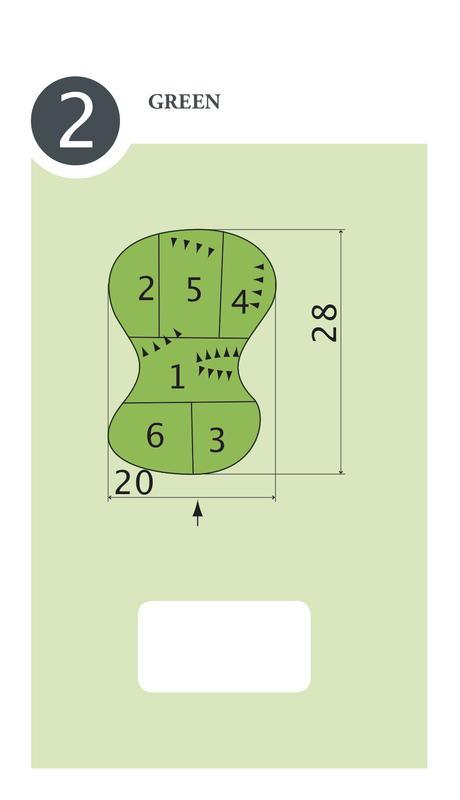 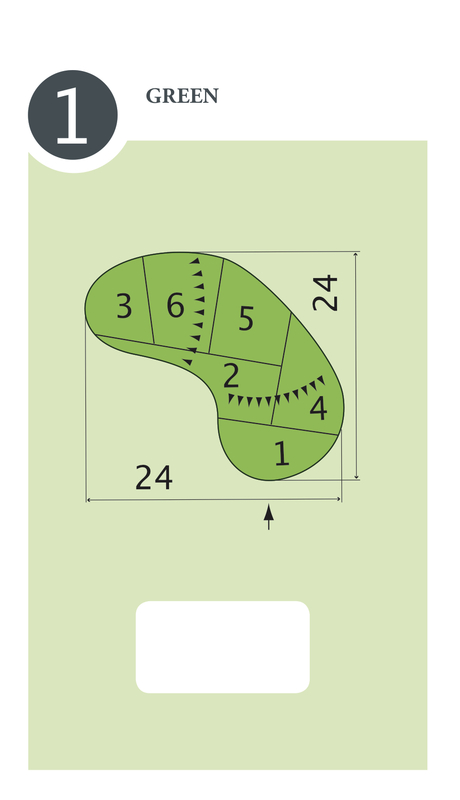 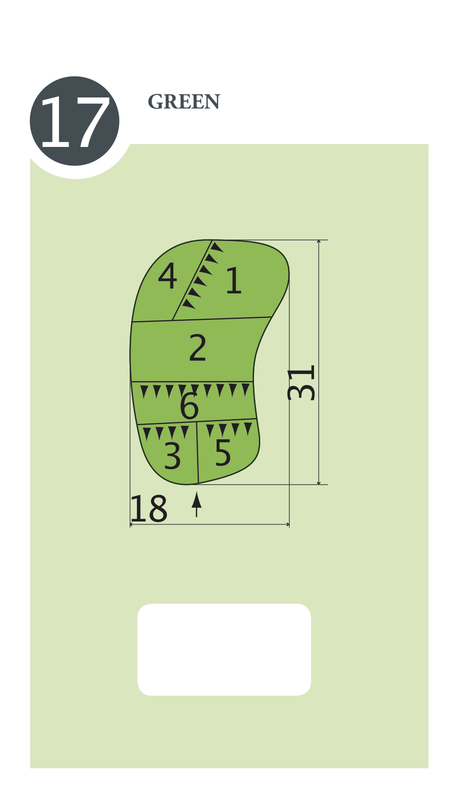 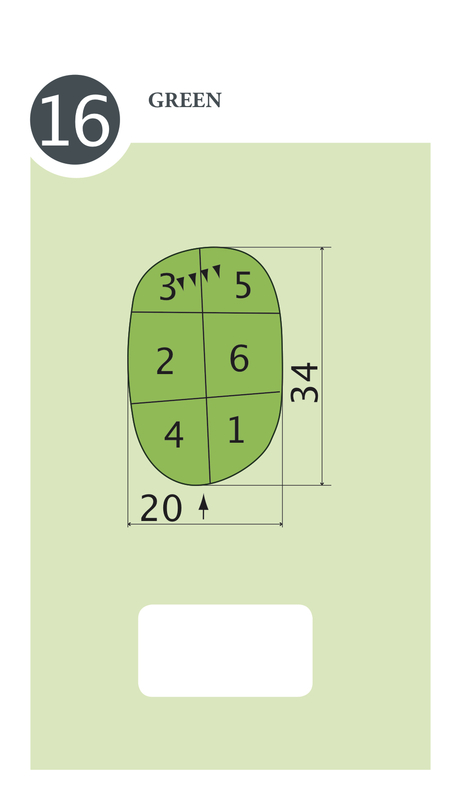 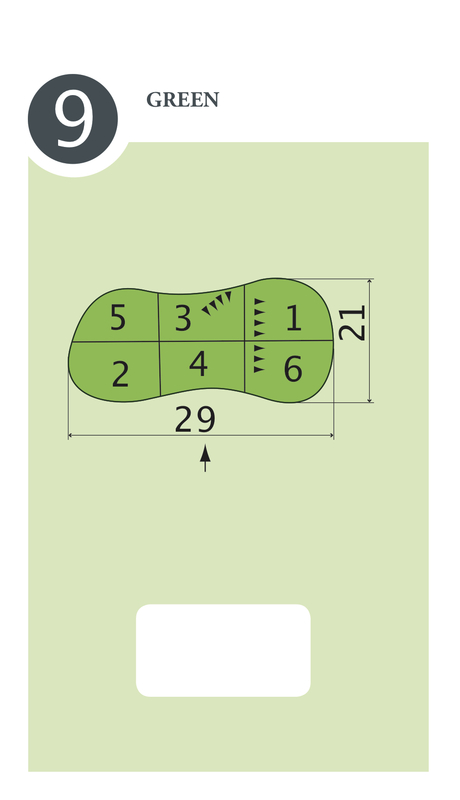 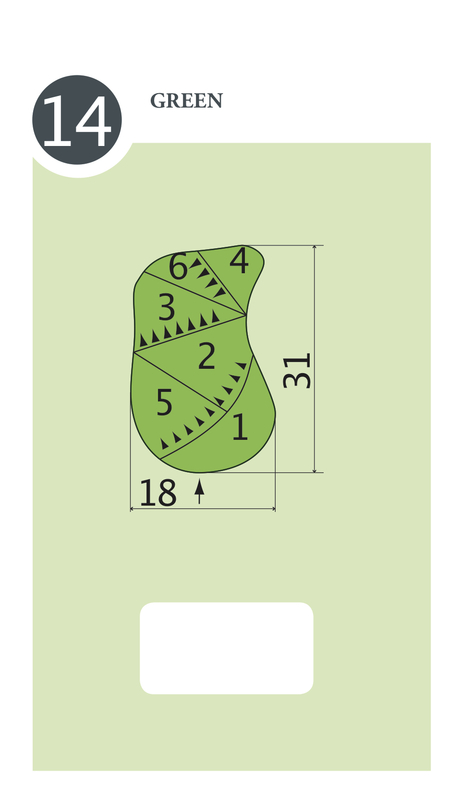 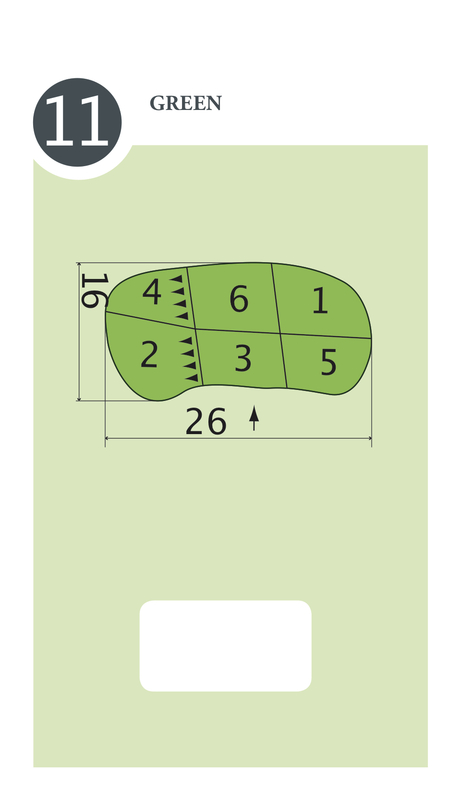 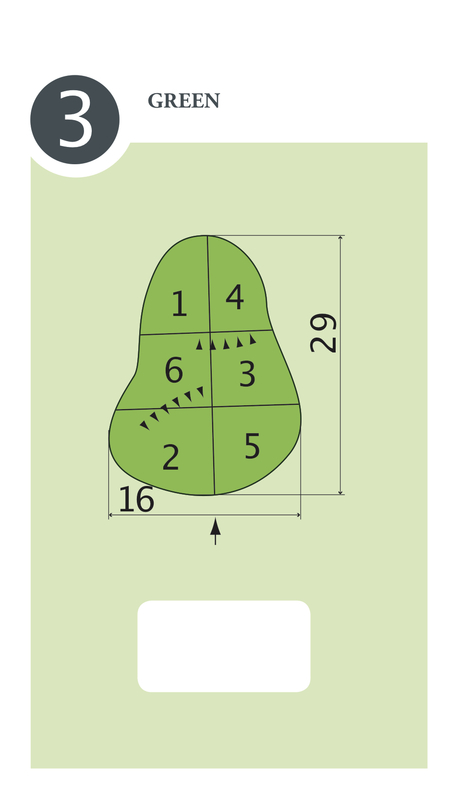 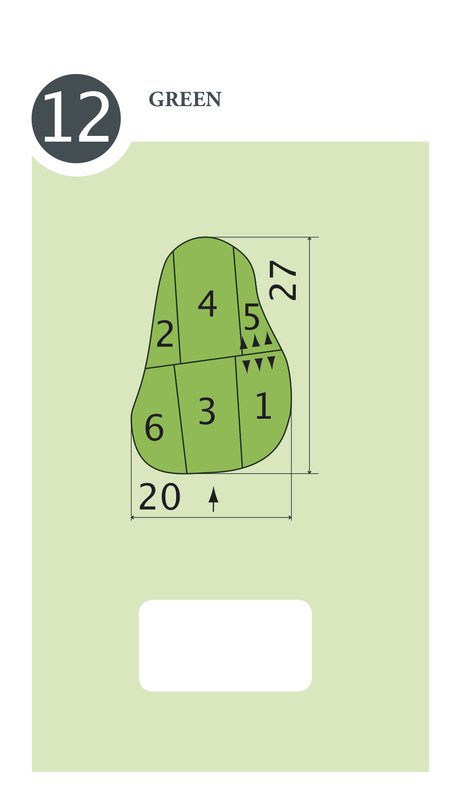 Particularly the green belonging to the fourteenth hole, where each of the six pin positions has its own tier, will test your ability to read greens. 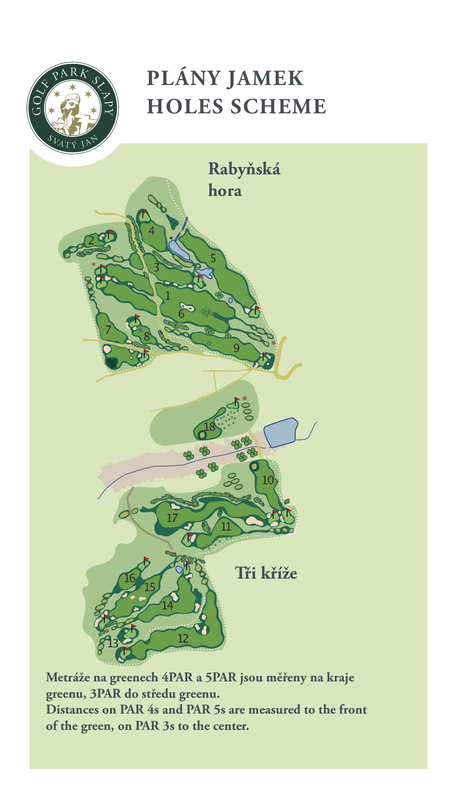 On the other hand, you can relax and regain your strength on the seventeenth fairway, while negotiating spectacular stone walls interspaced with cleared grass patches. 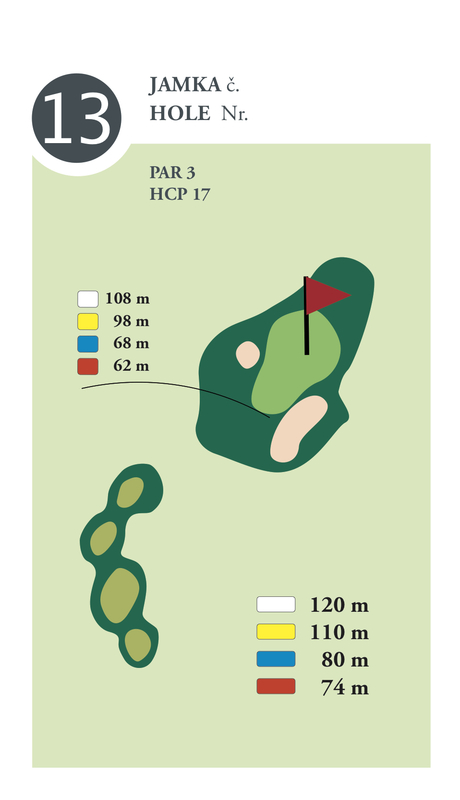 The great job done by our greenkeeper, Vojtěch Fuchs, and his assistant, Jakub Lohman, is then crowned by the 18th green – most of the green was cut out from the rock.